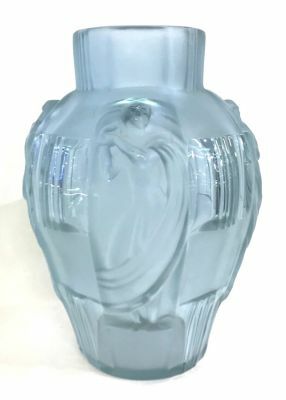 Period Art Deco ice blue glass vase. Unmarked, likely from Czechoslovakia. Partial satin, partial clear glass, depicting a woman in 4 different poses. 9 1/2” high, 7 1/4” at the widest.